The other day I had the opportunity to visit county jail with a few other pastors from Howard County. As we listened to the Director speak, he described many of the social-services available to inmates and spoke of the jail as “the great time-out”. His reasoning was that rather than merely warehousing inmates, the jail gave them a time out opportunity in life to reassess the direction their lives are going in and perhaps be equipped for better living. As we know, there is a lot of wisdom behind that idea. Every person needs some time out in their life for said reasons. So how do we take some time-out? Jesus’ way of taking time out was to go off somewhere for prayer. “Very early in the morning, while it was still dark, Jesus go up, left the house and went off to a solitary place, where he prayed” (Mark 1:35). While is important is the fact that we know that had Jesus chose to go off and pray when he could have easily used this time for other ministry activities. But he didn’t. When it comes to the mission of God, taking time out to pray was as important to Jesus as healing and preaching. The value of taking time out to pray continues with the church too. One of my favorite stories in scripture is the story of what the church does after the Apostles Peter an John were released from detainment for preaching about Jesus. “When they heard this, they raised their voices together in prayer to Go…” (Acts 4:24). As important as preaching and other ministry activities (cf. Acts 4.29-30) were, these Christians understood what Jesus understood. To participate in the mission of God, intentional time must be allotted to take a time out for prayer. We must take time out in our own lives to go off by ourselves and pray. If it is only for a half-hour a day, make that time a time to pray. Try taking a walk or driving to a park and leave your techno-gadgets at home, in the office, or in your car. I like to walk and pray because if I remain in my office (or at home), it is too tempting for me to neglect this prayer time and do other ministry work. For me personally, walking somewhere where there are a few other people around helps remind me of the mission I have been called to and that helps shape my prayer. Confession: I am writing this not as some expert but as one who is still learning how valuable prayer is to my calling. Churches must take time out to gather together for the purpose of prayer. Maybe it begins as a once a month or every fifth Sunday gathering. Maybe that is not enough but we must start somewhere. When is the last time your church gathered for the purpose of prayer? It used to be common for churches to have song-services once a month. In fact, I just received an email the other day for an area-wide song service. I’m not opposed to such services but here is a let’s-get-back-to-reality moment: Unlike prayer, nowhere in scripture do we ever read of churches gathering together for the primary purpose of singing. So what does it say about us if we can gather for “Fifth Sunday Singing Services” but not for a prayer service? 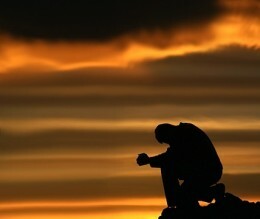 We all need time out to pray, both individually and collectively. The more we take time out to pray, the more engaged in the mission of God we will be. In Brazil the churches have prayer vigils from time to time. We seem to do this in the states only when there’s a tragedy or, in rural areas, when a drought is on and people are praying for rain. I’ve been in prayer meetings with both Pentecostal and a cappella Churches of Christ in Brazil. Despite my discomfort with the faux-tongues of the former, I prefer their energy over the quiet, staid approach of the latter. The Pentecostals join in praying simultaneously, and often loudly, while the a cappella folks pray like Americans with quietness, turns and tidy beginnings, middles and endings. The question of style can be chalked up to my preferences, but the question of HAVING prayer vigils or not seems plain as day to answer. Yes, have them. When I was in Belo Horizonte, the Alipio de Melo CoC had the Sunday worship gathering at 6:00 PM. So every Sunday morning there was a smaller prayer gathering for those who lived near (walking distance) of the building. It wasn’t as energetic as a Pentecostal prayer gathering might be but neither was it as reserved as most CoCs would generally be. Any how, the neat thing about having this morning prayer gathering was that it gave a chance for Christians to come together and pray the prayer of Acts 4.24-30 for the worship assembly that would meet later on…which God, of course, blessed.